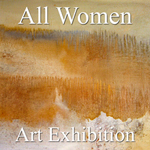 Our art competition for December 2016 was our 6th Annual “All Women” and 2D and 3D women artists from around the world were called upon to make online submissions for possible inclusion in to the Gallery’s January 2017 online group art exhibition. This art competition had an open theme, for women artists only and the submission process and competition for the artists began in November 2016 and concluded on December 27, 2016. Light Space & Time Online Art Gallery announces their fifth “Solo Art Series” Online Art Competition. The gallery will judge the Top 12 artists who have the most complete “Body of Work” to show. From that group of 12 artists the gallery will award of 4 monthly Solo Art Exhibitions and the next 8 artists will be awarded and featured in the gallery’s Artist Showcase Section. The Solo Art Exhibitions will begin on January 15, 2017 and continue monthly through May 14, 2017. The Artist Showcase features will begin on May 1, 2017 with two artists each month having their Solo Art Series entry package posted on the website and promoted in the gallery’s social media networks. 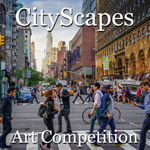 Light Space & Time Online Art Gallery announces their 7th Annual “CityScapes” Online Juried Art Competition for the month of January 2017. 2D and 3D artists (Including Photography) from around the world are called upon to make online submissions for possible inclusion in to the Gallery’s February 2017 online group art exhibition. 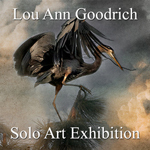 Light Space & Time Online Art Gallery is very pleased to announce that Lou Ann Goodrich has been selected as one of the four artists of the gallery’s fourth “Solo Art Series” Art Competition. 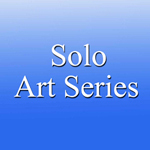 Lou Ann will now have a month long solo art exhibition and she will be featured on the gallery’s front page, in the Gallery’s YouTube Channel, as well as in the “Solo Art Series” archive. Lou Ann lives in Oregon, where she is wildlife photographer. She will be promoted by the gallery with an extensive public relations campaign, as well through the gallery’s broad social media network. In addition, she will be featured on the gallery’s YouTube channel, with an event catalogue and with an event postcard. 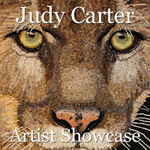 Light Space & Time Online Art Gallery is very pleased to announce that Fiber Artist, Judy Carter has been named as the Gallery’s new featured artist and she will now be promoted by the gallery for the next 14 days in the gallery's Artist Showcase. Judy was selected as 1 of the top twelve finalists of the gallery's recent Solo Art Exhibition Series #4. Below are her Artist Biography and Artist Statement that was submitted to this competition. Light Space & Time Online Art Gallery asks that any interested artists who would like to announce their art event, provide to the gallery a professionally written, newsworthy press release of at least 200 to 500 words as a draft. The gallery will then finalize the draft, with the artist’s final approval prior to the press release being posted and made live on the LST website. 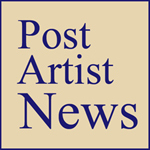 Artist’s post will be featured on the Light Space Time site is exposed to over 70,000 visitors and 225,000 Page views each month. The gallery will also promote this post for the artist through the gallery's extensive social media networks.